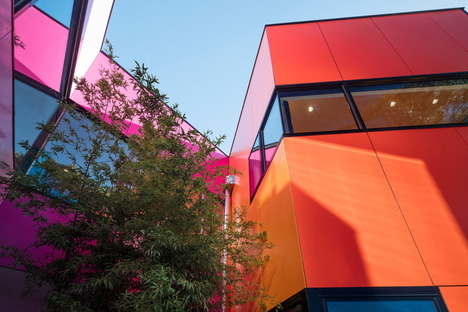 Bright colours and odd shapes, almost like an Easter egg: the Ivanhoe Grammar Senior Years & Science Centre in Melbourne, Australia gives students a warm, colour-filled welcome. 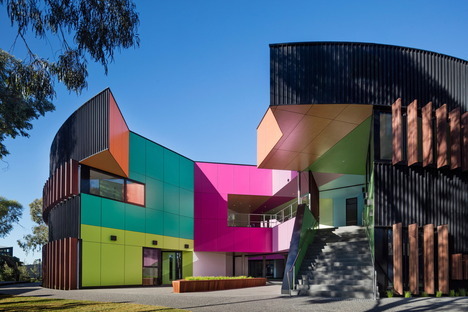 Bright colours and odd shapes, almost like an Easter egg: the Ivanhoe Grammar Senior Years & Science Centre in Melbourne, Australia gives students a warm, colour-filled welcome. 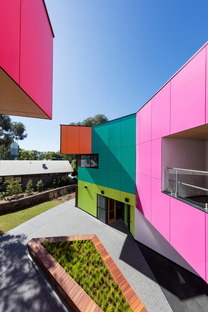 The project won the WAN Colour in Architecture Award. 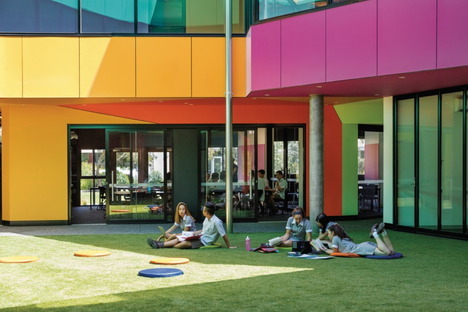 At Livegreenblog we are crazy about schools because they always pose a real challenge to architects, who work to both tight and generous budgets and who have to deal with tough client briefs, at the same time being perfectly aware of the need to craft places that drive creativity and learning. We all know the fundamental role that colours play in these environments, because of the effect they have on our moods. 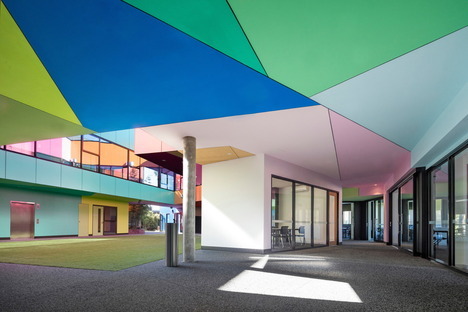 The endless combination of colours and geometry that McBride Charles Ryan used in their design of Ivanhoe Grammar Senior Years & Science Centre in Melbourne convinced the jury who were unanimous in their admiration for this WAN Award winner. The circular shaped plan with a kind of dark eggshell opens up like an Easter egg to reveal a kaleidoscope of colours, and Karen Haller, Applied Colour Psychology Consultant really appreciated this approach, particularly the jewel of colours on the inside. 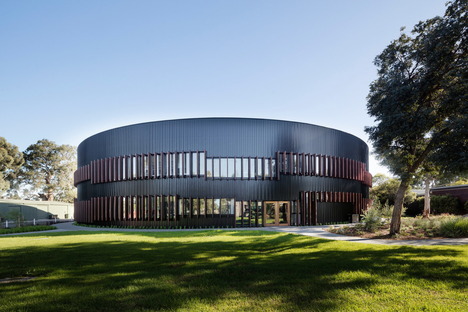 Like a gemstone, the central courtyards, light wells and learning spaces inside are defined by sharp angles and vivid colours, which form a dramatic contrast with the round form and muted tones of the drum-like outer structure. McBride Charles Ryan has crafted a reassuring architectural embrace for a well-rounded education, because the classic circular form represents the order and certainty of knowledge, while the building's expressive and complex inner world represents the uncertainty of modern life and the need for wonder and imagination.